Hello beauties! 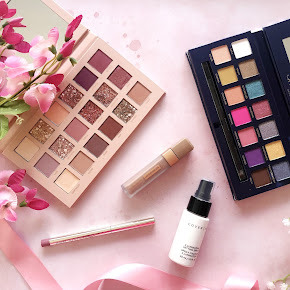 Many people spend money on beauty products and fashion more now than ever before and it's starting to become a very expensive habit for some of us. 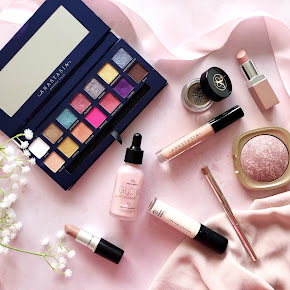 I guess it doesn't help that I'm always looking through beauty & fashion blogs and watching YouTube videos, I always seem to come across so many lovely beauty products & fashion items that are an absolute 'must have'. Well they're not necessarily a 'must have' so to speak but I just feel like I have to have it, you get that feeling right?. I'm always trying to find some new websites that may sell beauty or fashion at a discounted price so I can save myself a few pennies. 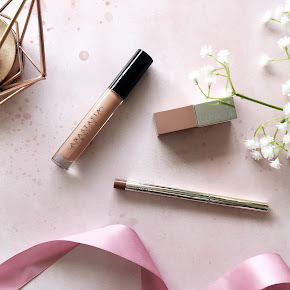 Anyway I have come across a few websites that sell makeup and fashion for cheap prices & I thought I'd share some of them with you, after all it may help you save some money. 1. 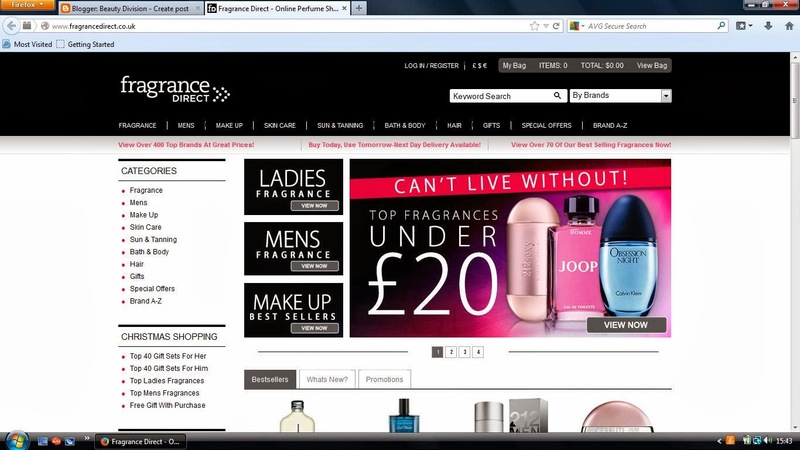 The first website is of course Fragrance Direct, I'm sure every girl and their mothers and even their grandmothers know about this website by now but I thought I'd include this anyway just in case any of you haven't heard of it. It is mainly a UK website & I think it may ship internationally. The website sells skincare, haircare, makeup and fragrances from some many well known brands for cheaper! If you haven't checked it out yet then I absolutely advise you to! I haven't ordered from there myself but I'm so impressed at how cheap it is. 2. The second website is everything5pounds, I don't think I can say much about this website as the website name really speaks for itself. The website sells fashion items such as skirts, shoes, lingerie, dresses, coats etc for only £5 which is SO incredibly cheap. It's definitely worth checking out. 3. 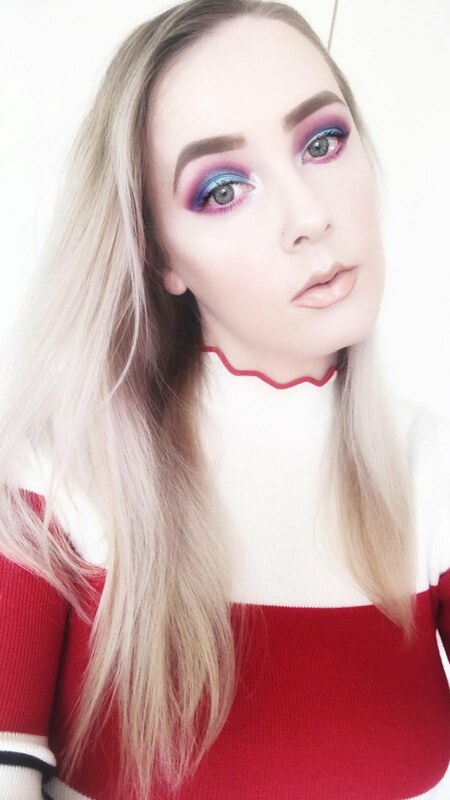 Another website is Feel Unique, now I'm sure many of you beauty lovers know all about this website but I thought it'd be wrong not to include this just in case some of you have never heard of it. If you haven't heard of it, where have you been all your life? Under a rock? They sell beauty products from so many good beauty brands such as Benefit, Dior, Lancome, Yves Saint Laurent etc. If you haven't had a look through the website then it's an absolute must! 4. 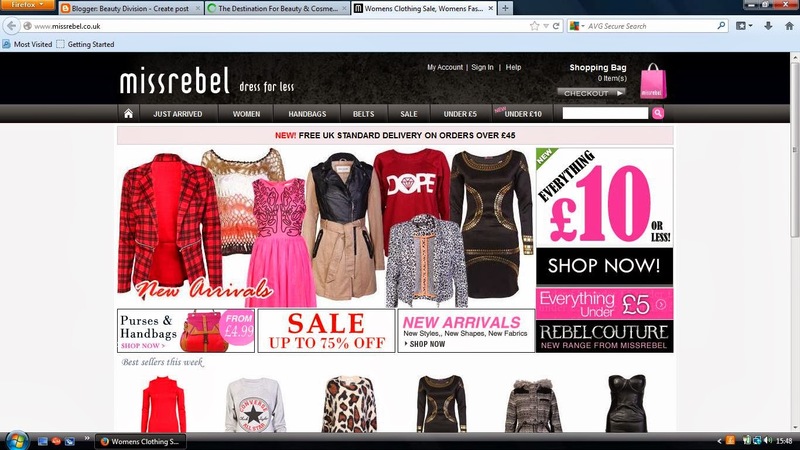 Another fashion website I have came across is MissRebel, It's not as well known as some other fashion websites but they're just as good. They sell good quality women's clothing, bags, belts etc for a fair price and it is definitely worth a look. 5. The last website is of course Ebay. How could I finish this post without mentioning it? I'm sure you all know about it by now but it's definitely worth a mention. 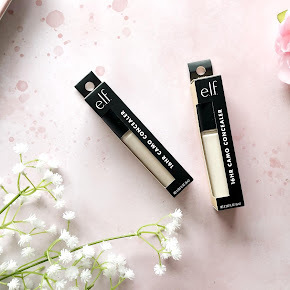 Many times I have gone onto this website trying to buy some bargains, I bought my FIRST genuine MAC lipstick from this website and it did not let me down! Have you used any of these websites?